At Auburn Dental Associates in Auburn, Indiana, Dr. Dan Schmidt, Dr. Andy Schmidt, and Dr. Anna Marr believe in treating you like family. We are a family-owned and family-run business, and we believe that you should feel at home with us. We care about your family and your well-being, and we want you to find a dental home with us, a place you will be happy to come back to, and a place you will want to bring your family. 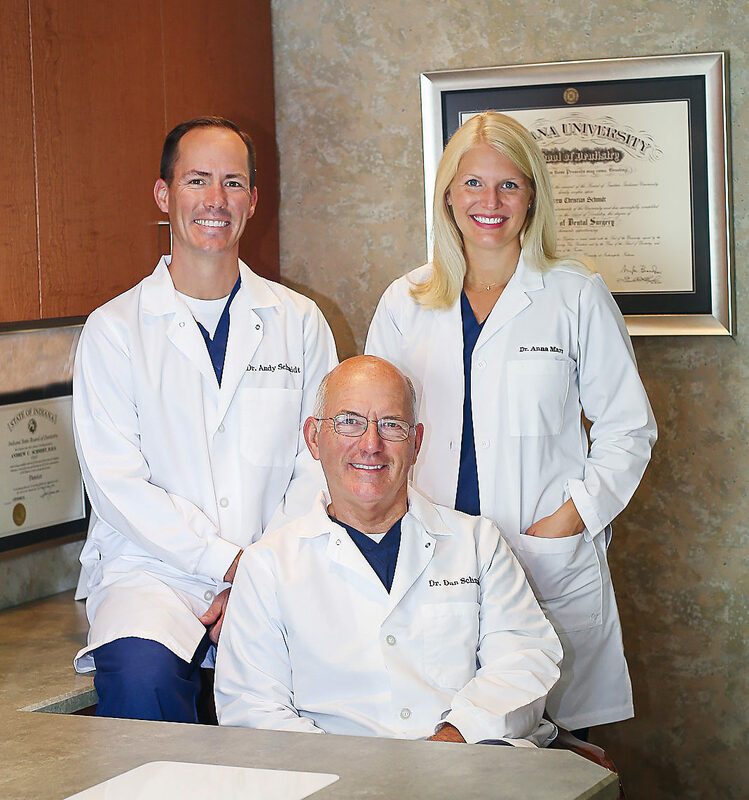 Dr. Dan Schmidt, Dr. Andy Schmidt, and Dr. Anna Marr are two generations of doctors from the same family, and we love to serve the children and grandchildren of patients who have been coming to us for years. We are proud that so many feel comfortable returning to us, and entrusting us with the dental health of their children and grandchildren. Friday: Every other Friday 8 a.m. – 12 p.m.